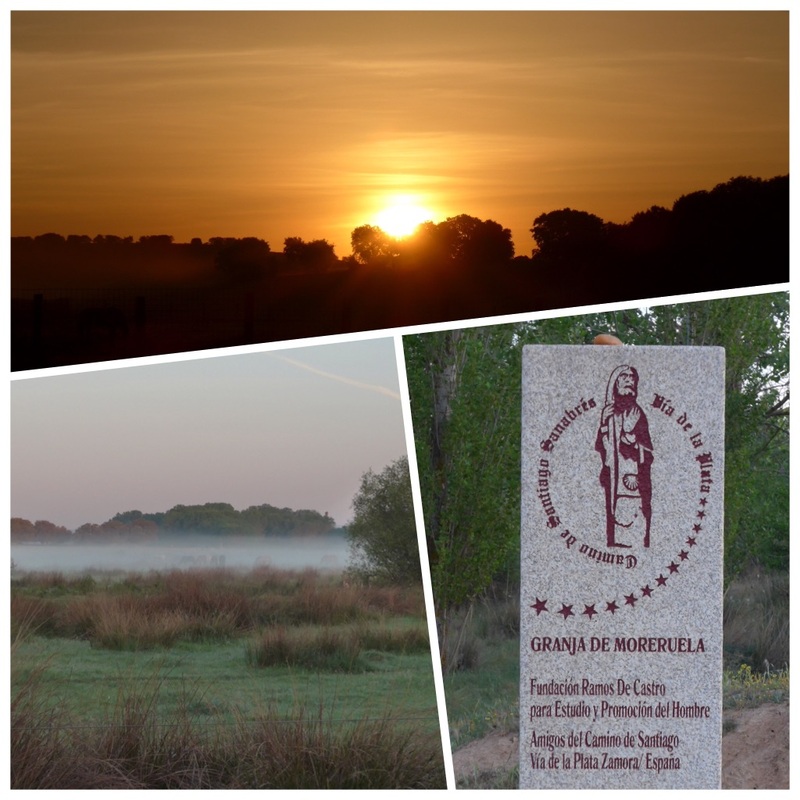 Granja de Moreruela is the town where the Via de la Plata divides – due north to Astorga and then westward on the Camino Frances, or west and then north west on the camino Sanabres which is the route I am taking together with all those staying in the Albergue last night. The first part of the walk was very pleasant and then it became magical. After encountering the wide expanse of water that is the Rio Esla that has forged its way through a deep gorge and provided stunning photo opportunities, I crossed a beautiful bridge and was directed along the other side of the gorge, on a narrow and winding track, clambering up steep rocks and meandering through an avenue of cistus (rock roses), never more than a few metres from the edge of the river, sometimes on the same level and sometimes climbing high above with a steep cliff only inches from the path. Being the first this morning to reach this path I had the duty of clearing the cobwebs that threaded between the shrubs on either side of the track. What an honour! After wiping them off my face time after time I eventually used my walking poles in scissor fashion in outstretched forward pointing arms, which sort of did the trick. 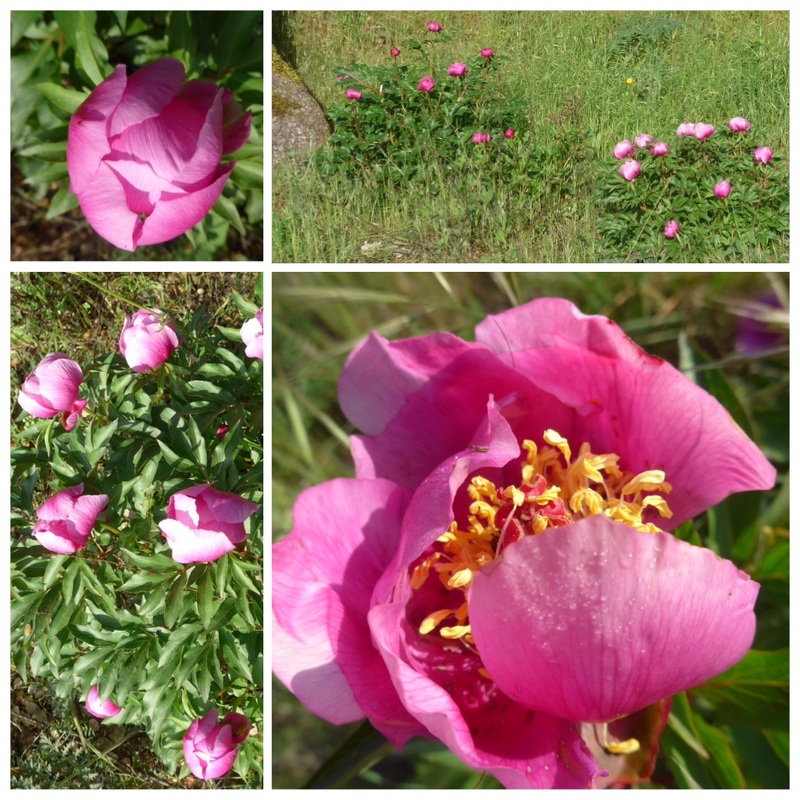 I got very excited when I saw a completely new flower growing under the trees – wild peonies – absolutely entrancing. After climbing hard for a while I reached the summit and found a comfortable rock to sit on at the very top of the gorge overlooking the river. 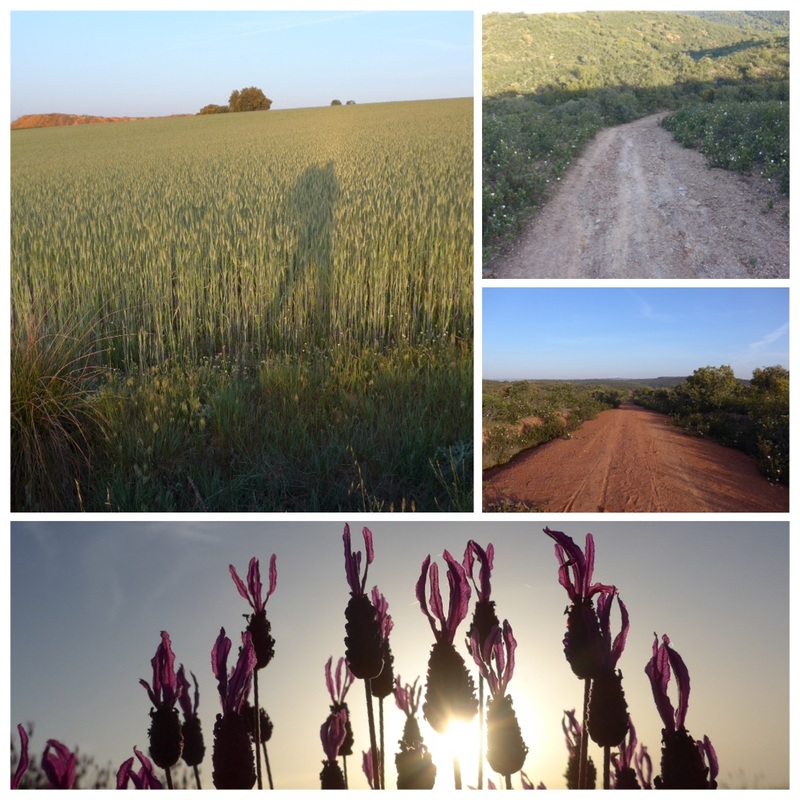 Camino magic in the making! Whilst I was contemplating my surroundings I saw a fox who was busy sizing me up before loping off. Then Paul came along and I took a selfie of us, before we set off through holm oaks for a while and then returned to the dreaded long straight wide tracks that have been a feature for the last few days. The trouble with these tracks is that you get very little perspective, and the next town that looks a few short kilometres away turns out to be in the next county! We stopped for a drink in the village of Faramontanos de Tábara at around 20 km and then strode on to Tábara where we found the Albergue after wandering around the town for a while. A donativo with evening meal and breakfast with 14 places. We were royally welcomed by hospitalero José who explained that he would put our walking clothes in the washing machine, which was an offer I couldn’t refuse. 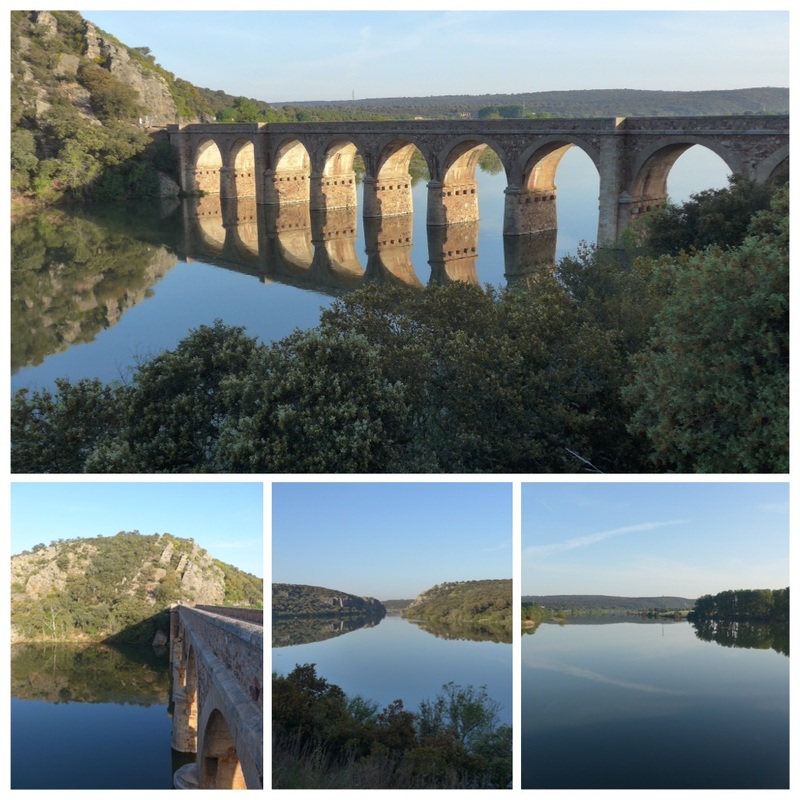 I’m so glad I didn’t miss this spectacular section of the camino by taking a short cut yesterday. I can see from the visitors’ book that Olivier was here last night but not Tobi and Michael, so I have no idea where they are now. So far in the Albergue are myself and Paul, the Dutch/Belgian couple Alke and Patrick, and a couple of Italian cyclists. Unfortunately Diane from Quebec is running out of time before her homeward flight and is taking a bus in the morning to jump a week or so ahead. So the women to men ratio is diminishing again. Oh, well – it’s that time of day again – I must go off in search of wifi – is that a glass of wine I feel beckoning me? The albergue is on the outskirts of the town which entails quite a hike to find a bar with wifi. First attempt failed, although not until after I had ordered a drink. Am now installed with second drink and functioning wifi. Incidentslly, the daily total of km’s is from Albergue to Albergue only, including any lost wanderings, but excluding walking around the town after arrival. 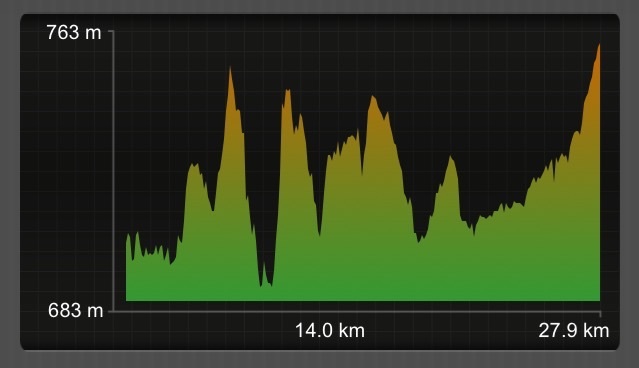 I was pleased to discover that Belgian Patrick’s dedicated GPS unit tally’s with my wikiloc App. This entry was posted in Camino de Santiago de Compostela, Camino Mozarabe, Camino Sanabrés, Via de la Plata and tagged Camino blog, Camino de Santiago blog, Camino de Santiago de compostela, Camino de Santiago., camino Mozarabe, Camino Sanabrés, travel. Bookmark the permalink. I’ve said it before and I’ll say it again – isn’t nature fascinating and so perfectly portrayed in your lovely photos? Another thing I’ve said before is “where DO you get your energy?” Do you think your walking boots are broken-in yet? Thank you Jan, as always. Boots are well and truly worn in and verging on worn out. The heels are worn down and I discovered a hole in one of my socks today. But no blister issues – fingers crossers! And still have a “bon camino”. 1000 km are nearby. 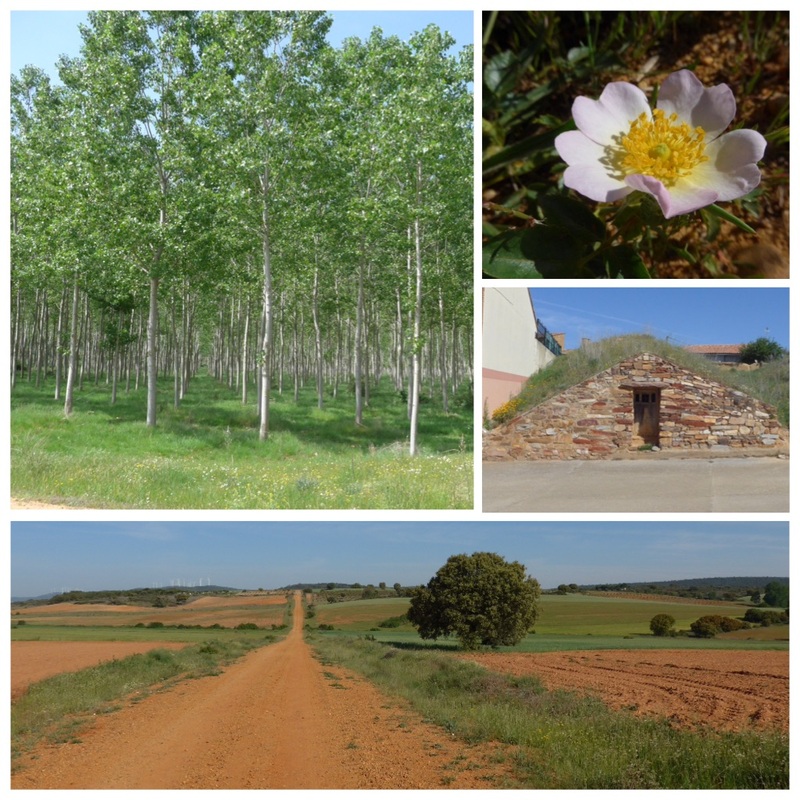 On the “camino” Sanabrês, you go by Laza or Verin? Your photographs of the water are stunning. And, I agree, a long straight road becomes a boring trudge. What an uplifting day you’ve had, the description of today and the fabulous pictures make me feel as though I was with you. The selfies that you took make you look like the cat that had the cream and it is good to see a picture of Paul. Enjoy your drink and I hope that the meal tonight turns into a pleasant evening with good food. A big bonus having your washing done how good is that. Yes, the weight has dropped – now the ‘thin’ pants are a bit baggy. 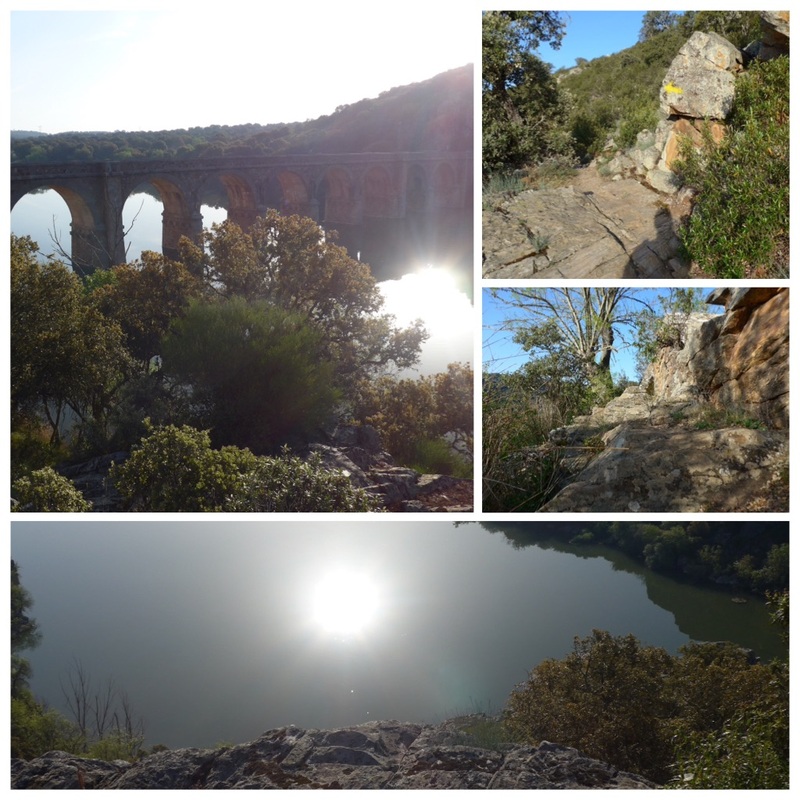 I realised the other day that after my first camino I had lost the weight of my backpack – that’s a bit scary. I do like the slimmer me much more than the pre-camino version. Just need to keep it off for good and I will be very happy. Another great day Maggie and it sounded wonderful. I’m so jealous of you. Will your boots survive the whole thing? I hope so but you seem the kind of person that will keep going regardless of the state of the boots!, Gorgeous photos again today.. I just love that bridge. I just want to say that David sounds like a very supportive and nice man also and isn’t it great that he is at home minding the house. Well done David. Mary, he’s one in s million. He misses me like mad but never complains about me leaving him for weeks (months) on end. I made a couple of mistakes along the way, but got it right in the end. Iwonder what the little building was with the grass growing over it? Mary Lynch – I can tell youDavid is the best of men and a real gentleman! What a stunning walk!!! It looks heavely. I’m so happy you were part of it and didn’t take the short cut. This would have been a big loss not to see. Keep it up and am loving all your posts. Thanks for taking the time to do this. Wish I could do this walk but think my knees and feet wouldn’t hold up. You are doing it for me. You look BEAUTIFUL!!! I love your photos today Maggie! You seem to be walking thru a paradise at times. Good trekking tomorrow! Stunning pictures Maggie. Glad you had a beautiful day. Very clever photography to include your shadow across the high grass. The photo of the bridge is stunning. Thanks for your comment Dermot, lovely to see you here. 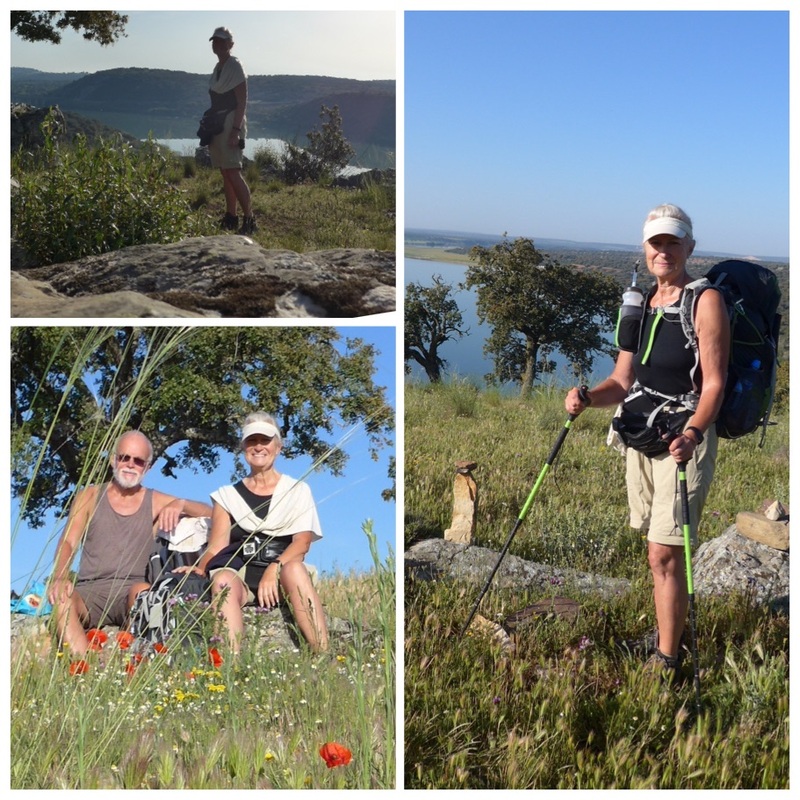 You are right about the work and time, but I do enjoy blogging, even after a long day on the camino.